This course will prepare you for the Microsoft Technology Associate (MTA) certification exam. It also leads to our SSIS, SSRS and SSAS courses. No existing knowledge on Microsoft SQL Server is required. You should have basic computing knowledge. Familiarity with relational database concepts is helpful but not required. “The class was one of the best educational experiences I have experienced”. “Very good course. Good pace and balance between theory and practical, with content clearly explained along the way. Would recommend to anyone not quite understanding the aspects of db design from online sources”. 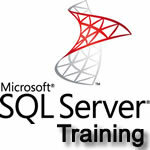 "Highly recommended intro to SQL - perfect for starting your MS SQL Server education." "Value for money. Lesson was well paced and explained so that each student could catch up and understand session. Very supportive teacher." "Very informative class, teacher was very knowledgeable about his subject. Highly recommend." "This course is essential for a beginner, it will give you fundamental tools to become competent working with SQL."